Renewable Heat Now! – Heat Pumps for All. for renewable-ready heating and cooling in New York State! As our electrical grid gets greener, Renewable Heat Now is advocating for NY's Energy Efficiency standards to support beneficial electrification, encouraging switching homes from fossil fuel heating to heat pumps. We submitted comments to the Public Service Commission. 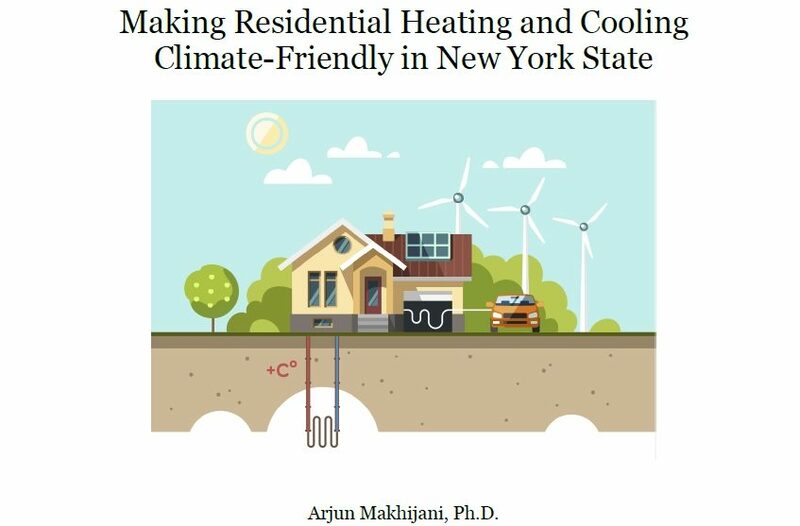 Check out the study, "Making Residential Heating and Cooling Climate-Friendly in New York State," by Dr. Arjun Makhijani of the Institute for Energy and Environmental Research. Watch Dr. Makhijani speak in Syracuse about renewable-ready heating and cooling in New York. The members of Renewable Heat Now are working together to reduce greenhouse gasses coming from heating our buildings. Find out more about our specific goals and policy demands. 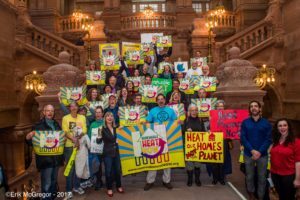 New Yorkers can reduce the demand for fossil fuels and make home heating more affordable, by changing the way our homes are heated and putting in the right policies. 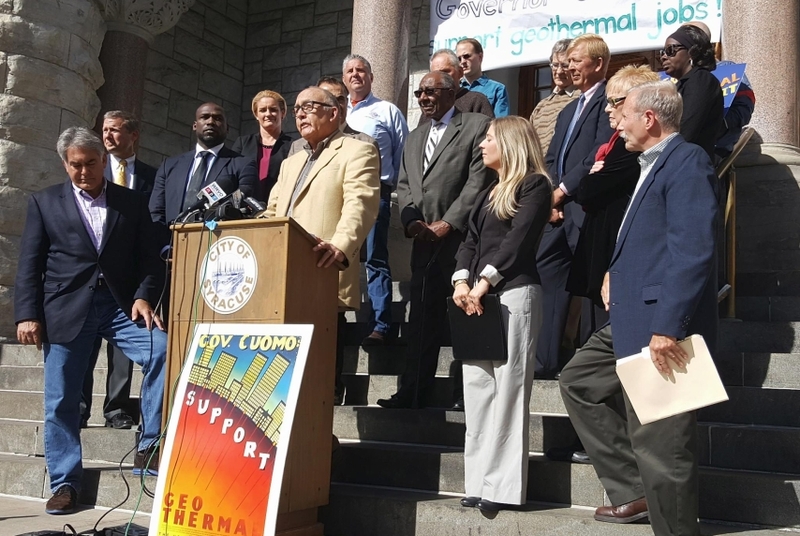 Governor Cuomo has just announced a rebate program for geothermal heat pumps and a policy framework to reduce the use of home heating oil, propane, and gas in our homes. Join us as we tour New York this week to raise awareness about how New York can convert from fossil fuel heating systems to efficient renewable-ready electric systems, such as cold climate heat pumps and geothermal heat pumps, which are widely available technologies.